When you have 40 odd people’s lives in your hands you want to be on your game. And long hours behind the wheel of a Bus often leaves drivers with pain, numbness in their lower back and legs, along with stiffness resulting in fatigue. The flow on effect could be a serious accident. In addition to safety, having happy employees who are motivated to work and are driving because of increased comfort will result in increased productivity, as well as creating a better experience for all of your passengers. Bus companies and drivers alike can alleviate these discomforts through the use of one of the AIRHAWK Comfort Seating Systems. 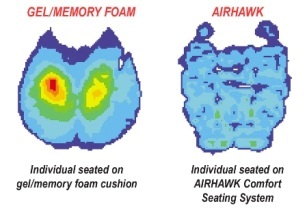 AIRHAWK Bus Seat Cushions contain a series of interconnected air cells that mimic the properties of water to actively relieve pressure points and improve circulation. 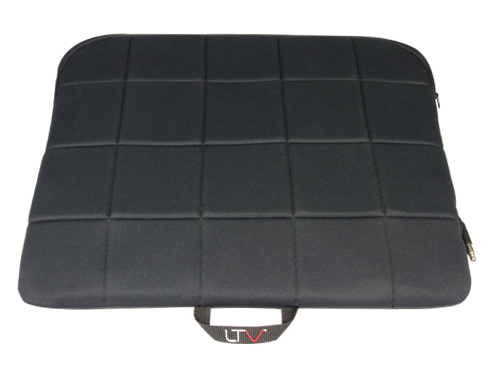 All AIRHAWK Bus Seat Cushions can be fully customised to suit the driver’s weight and pressure points, and the cushions are flexible and lightweight allowing you to easily change them from vehicle to vehicle. can help you Call Now on 1300 783 128 or Email Us.